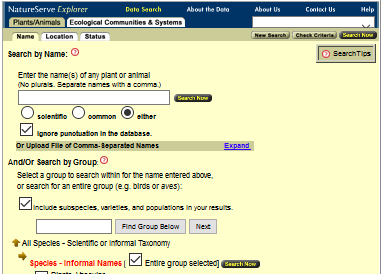 Please use the resources listed below to compliment your butterfly research. "The Butterflies and Moths of North America (BAMONA) project is ambitious effort to collect and provide access to quality-controlled data about butterflies and moths for the continent of North America from Panama to Canada. The project is hosted by the Butterfly and Moth Information Network and is directed by Kelly Lotts and Thomas Naberhaus. Our goal is to fill the needs of scientists and nature observers by bringing verified occurrence and life history data into one accessible location." This site was recommended to us by a first-grader and her grandmother who love to garden for the butterflies and their caterpillars. Thank you to Elizabeth Owens for her insiration! "In 2015, the National Fish and Wildlife Foundation (NFWF) established the Monarch Butterfly Conservation Fund to protect, conserve and increase habitat for these iconic insects and other pollinators. Created with an initial $1.2 million commitment from the U.S. Fish and Wildlife Service, the fund will pool additional funding from other private and public donors and matching resources from grantees." 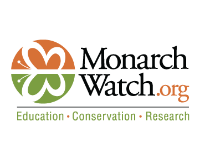 Monarch Joint Venture Program "Partnering to conserve the monarch butterfly migration"
"Monarch Watch is a nonprofit educational outreach program based at the University of Kansas that focuses on the monarch butterfly, its habitat, and its spectacular fall migration." 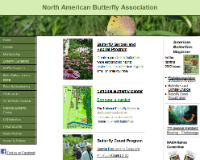 The North American Butterfly Association (NABA) is a membership organization, with its headquarters in Mission TX .The National Butterfly Center is dedicated to education, conservation and scientific research on wild butterflies. Here is the information about membership and programs. "Our mission is to promote the health of pollinators, critical to food and ecosystems, through conservation, education, and research. 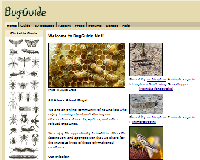 Signature initiatives include the North American Pollinator Protection Campaign (NAPPC), National Pollinator Week, and Ecoregional Planting Guides."